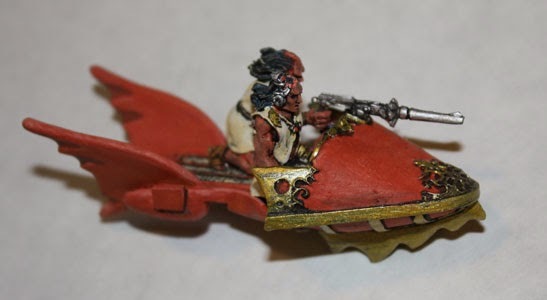 Oh, and just found a new Bob Charrette sculpt...Martian Flyer for his Parroom Station range...available here from Brigade Games. This is a wonderful set of ranges sculpted over the years. Figures are a little slim (read realistic) compared to many other ranges however well worth a punt. Nice painting, and very good bases. SAD a real b****r, thankfully I don't tend to suffer since I got an outdoor job, but even so the rain is getting me down.